The Odyssey Flight Zone™ FZGSVMS4 case is specially made for the American Audio VMS4 DJ midi digital controller. It features our patented Glide Style™ laptop platform that slides fowards and backwards over the controller to whatever position best suits you. 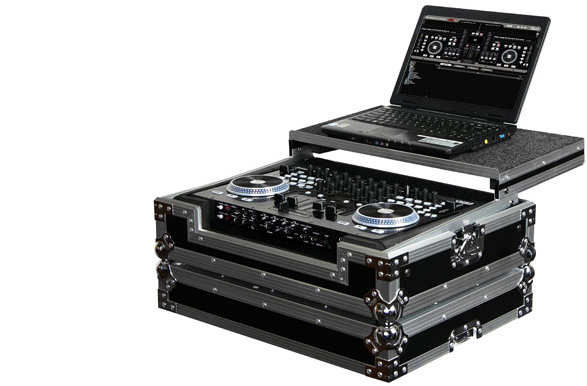 Also features a storage/ventilation pit located underneath the player compartment that has enough room for cables and other compact DJ essentials.